Significant emphasis is placed upon Evidence-Based Medicine (EBM) during medical school, resulting in student responses ranging from apathy to consternation. Students take home the importance of systematic reviews and highly populated, well-powered trials, to the apparent exclusion of all else. That these trials often have landmark effects is not disputed, but there remains a paucity of data for many aspects of clinical practice. EBM is well equipped to handle this and hence it is worth re-emphasising the principles at the core of EBM. In a well known BMJ Editorial, Sackett et. al. defined EBM as “the conscientious, explicit, and judicious use of current best evidence in making decisions about the care of individual patients”. A core principle that is seemingly becoming confused in medical education is that EBM involves utilising the best available, not necessarily the best possible, evidence. It is essential medical students understand that EBM consists of three strands: several levels of published research, core scientific knowledge, and individual clinical experience. 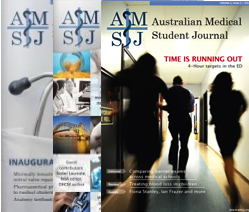 Whilst landmark trials, such as the S4 trial,  are easy for students to appreciate as quintessential EBM, smaller general publications, such as John Murtagh’s Practice Tips,  equate to a distilled clinical experience that cover many areas of practice and should certainly be considered part of the EBM framework, particularly for students who have limited personal clinical experience. The challenge is to successfully integrate EBM’s three strands into clinical practice, particularly in scenarios where there is insufficient evidence in one area or even disagreements between data. In these situations, it is imperative to understand EBM’s hierarchy of evidence and to critically appraise evidence; both of which require a sound understanding of the scientific method. To achieve an optimal outcome in scenarios with conflicting or limited evidence is the hallmark of good EBM practice. As more data is gathered, disagreements are resolved and gaps filled. However, today’s patients cannot wait for this to occur and medical students must develop thorough knowledge of EBM, including statistical analysis and philosophy of science, to allow them to confidently deal with such occurrences. EBM lies at the core of modern medical practice; we who become doctors also become scientists. Our clinical decisions, based on experience and core knowledge, are moulded by the guiding hand of research. Indeed, it is our duty to integrate the strands of EBM to ensure the best possible outcomes for patients. We applaud the AMSJ on its inauguration as a vehicle to encourage medical students into well-rounded, evidence based clinical practice. Sackett DL, Rosenberg WM, Gray JA, Haynes RB, Richardson WS. 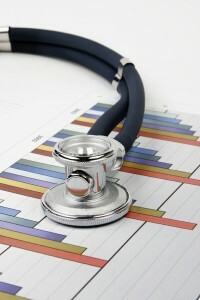 Evidence based medicine: what it is and what it isn’t. BMJ 1996;312:71-2. Pedersen TR, Kjekshus J, Berk K, Haghfelt T, Færgeman O, Thorgeirsson G, et. al. Randomised trial of cholesterol lowering in 4444 patients with coronary heart disease: the Scandinavian simvastatin survival study (4S). Lancet 1994;344(8934):1383-9. Murtagh JE. John Murtagh’s Practice Tips. 5th ed. Sydney: McGraw-Hill; 2008.